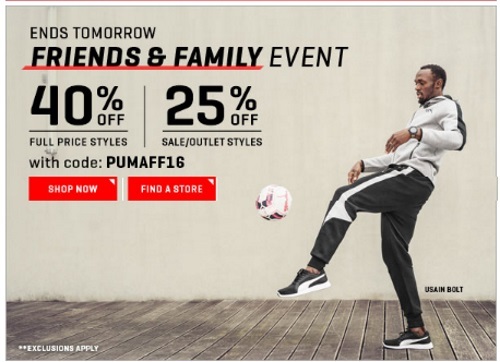 PUMA has a Friends & Family Event! Save 40% off any full priced styles and 25% off sale/outlet styles with the promo code below. Enter the promo code PUMAFF16 at checkout. Offer ends June 13, 2016 at 11:59pm.